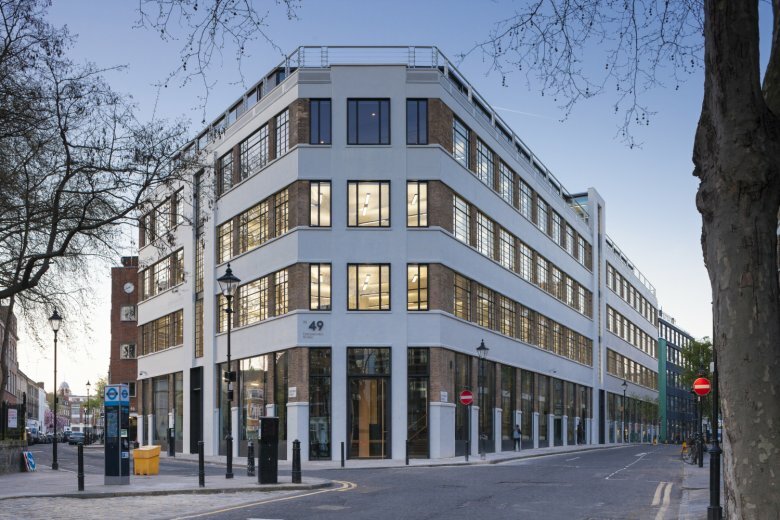 The Buckley Building won the Commercial (London) category at the RICS Awards 2014. The judges said: "The refurbishment and expansion of an inter-war years printing works and warehouse, which had previously been converted into office use on the 1980s, has increased the net useable space in the building from 6,500 sq m to more than 7,800 sq m. The atrium has been in-filled and the top of the building extended by the addition of a largely glass construction. The resulting new office areas and reception space are light and airy, and the building achieves a high environmental and energy rating. A new ‘signature’ restaurant is located at ground floor level in the development, and the building makes an attractively strong visual impact in the locality."